Exceptional 19th Century English Majolica Oyster Plate in the most desirable colors of aqua and lavender. The six-well glazed plate was made by S. Fielding & Co. Ltd., Stoke-on-Trent, England, circa 1878. 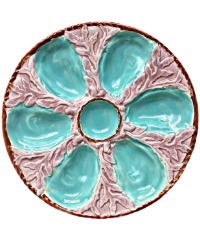 Turquoise oyster wells surround a center condiment well, all on a molded bed of lavender purple coral or seaweed. The brown nautical rope border encircles the center well and the outer rim, giving this an extra pop of color. 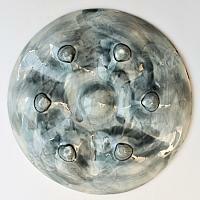 On the back, a watery oyster grey glaze, the six raised feet are in the shape of shells. This antique decorative server is referenced on pg.29 of "Collecting Oysters plates" by J. B. Snyder. : pg. 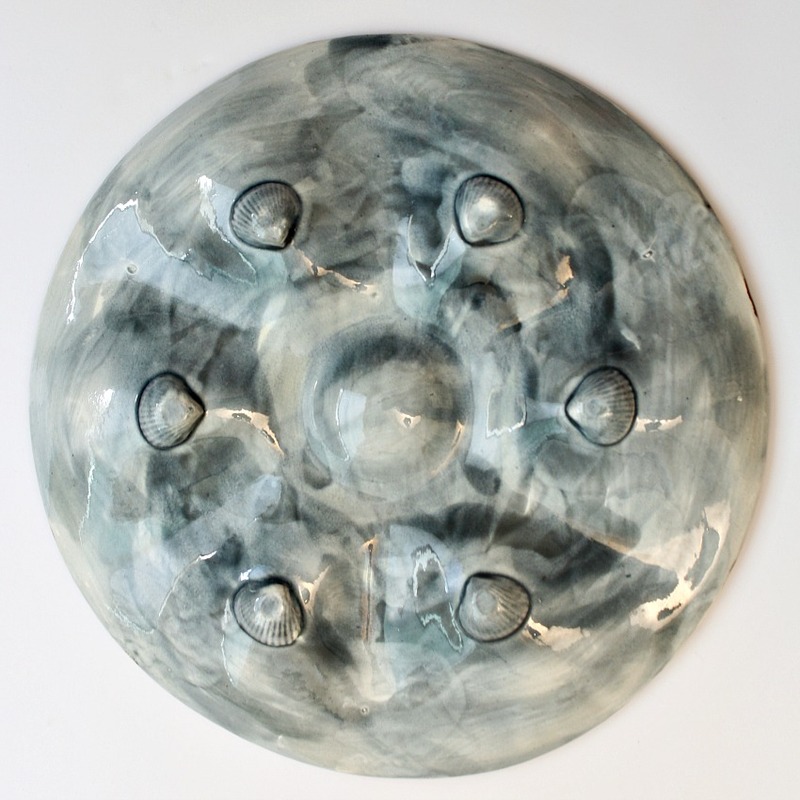 45 "Oyster Plates" by Karsnitz. 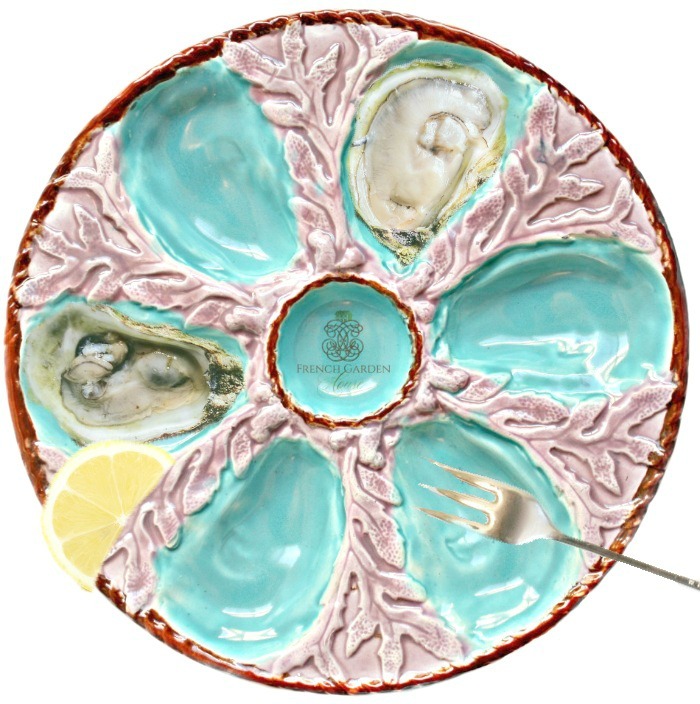 This will be the star of your oyster plate collection!